This Side of Paradise was first published in 1920 and was considered daring and intellectual in its day. 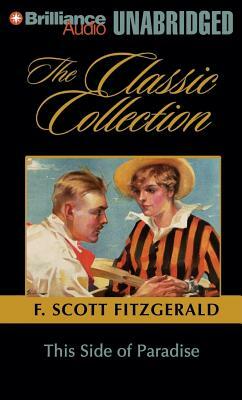 Its enormous popularity helped to launch young Fitzgerald's career as a major writer. Amory Blaine has been brought-up by a wealthy, idiosyncratic, and alcoholic mother. Snobbish because he knows no better, he is uncomfortable with others and must learn the proper social etiquette and values embraced by his peers. As he progresses to Princeton University from the Midwest, he flirts with some predatory young women and chances friendship with some intellectual young men. Will he find happiness, or will his life be forever burdened by his ineptitude this side of paradise?